I have wanted to experiment with liquid watercolors with my students for years but couldn't bring myself to justify ordering them when I already had regular watercolor sets in my classroom. Still I was curious to see for myself what everyone else was raving about. So, when Oriental Trading volunteered to donate $75.00 worth of any art supplies I wanted to my classroom, I saw my chance. I want to take this opportunity to thank Oriental Trading so much for their generosity. 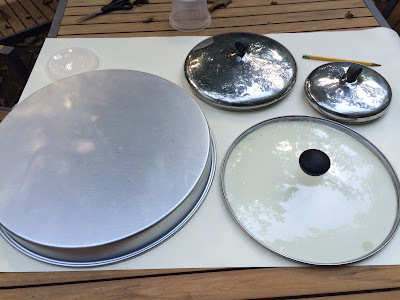 Without them I would never have had the opportunity to create this cool lesson. 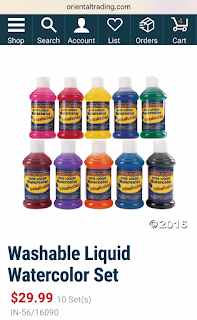 They sell a tremendous variety of name brand quality art supplies at great prices. Click here to see for yourself. This watercolor set is huge, with enough paint for all my students. At only $29.99 it left me with plenty of money left over from their generous donation to choose other goodies. The colors are concentrated so a little goes a long way. Each student only needs a few drops. Even diluted, the pigments are bright and jewel like. I expect to have plenty of paint left over for future experiments. You can order your own set by clicking here. Start out by looking through your kitchen for the largest circle templates you can find. 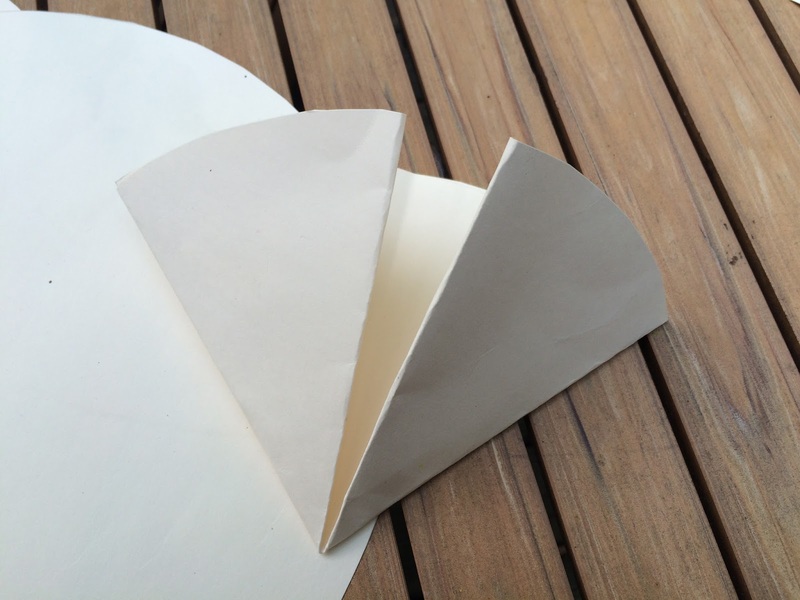 Select 5 different sizes, from large to small and trace them on to Oaktag or stiff poster board. These will be your templates. 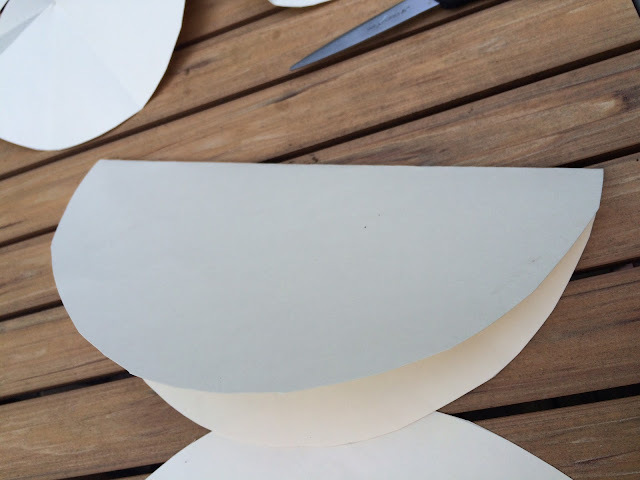 Cut out your 5 circle templates. 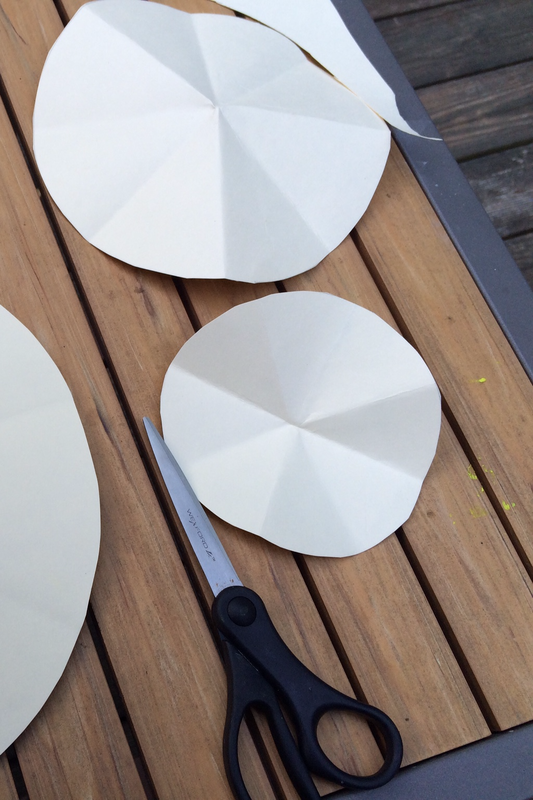 Fold each circle in half as evenly as possible, lining up the edges carefully. Since your tag board is now too thick to fold again, open the shape to go back to the half circle and fold the edges carefully up to the middle line. 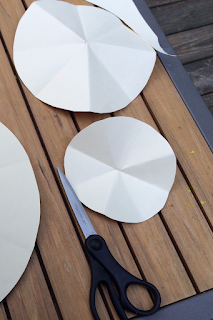 Cut a single pie wedge from each of your 5 circles. 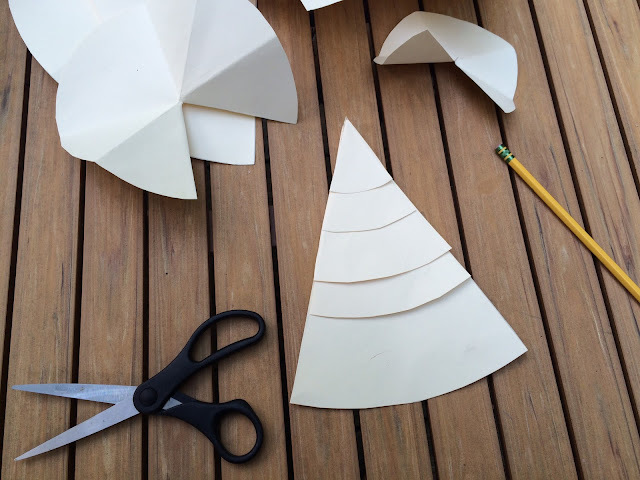 Stack your pie wedges in order with the largest on the bottom matching them at the point. 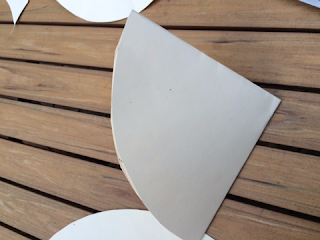 The size of the angle should be identical for each wedge, 1/8 of a circle or 45 degrees. 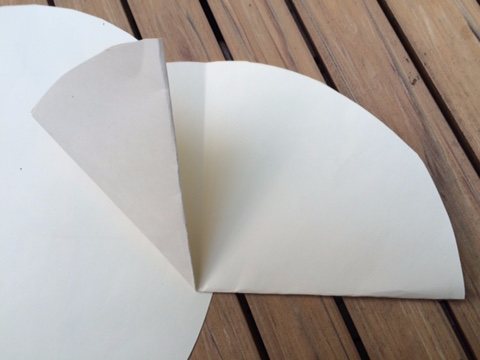 Trace your largest pie wedge on to a piece of thick watercolor paper. Position your next smallest wedge and trace just the curved line at the top. Everyone's template should look identical to the one below. 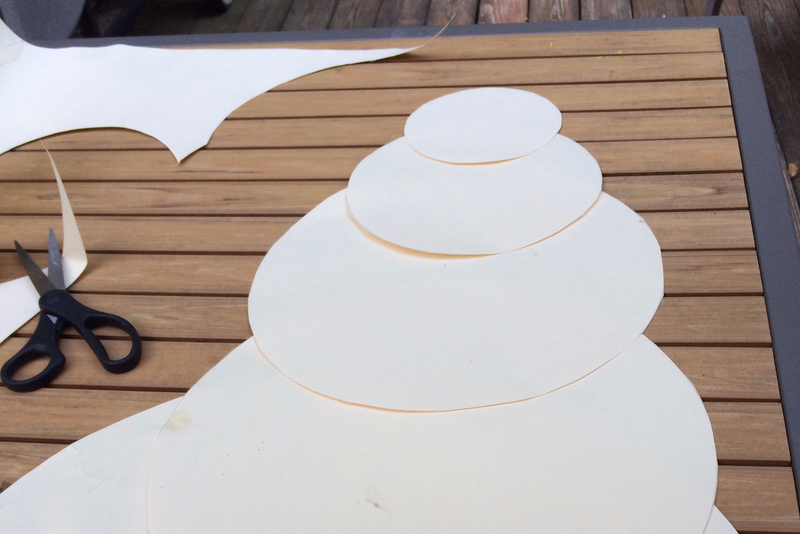 Eight separate pieces will be displayed together in a circle to create each radial design so it is important that everyone's artwork be the same size. 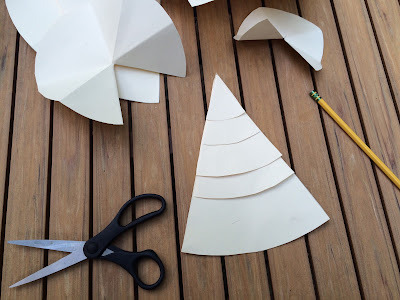 The teacher may cut up every circle into 8 wedges and give each table an identical set of slices to trace or she may simply print out copies of the worksheets below and have students cut them out and trace them on to watercolor paper. The worksheets are also useful for drawing practice. 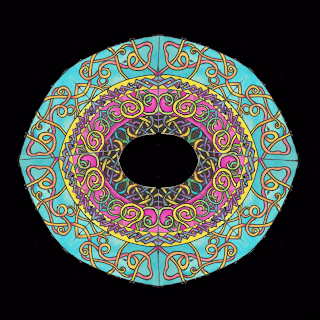 Although everyone's work will be unique the radial design will be unified because everyone will be following the same directions, experimenting with the same types of lines in each section and using the same color palette. 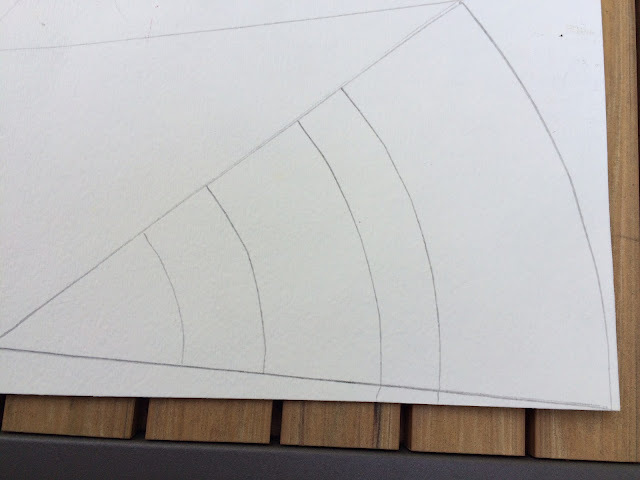 Please watch the video above to see me demonstrating how to draw these linear designs. 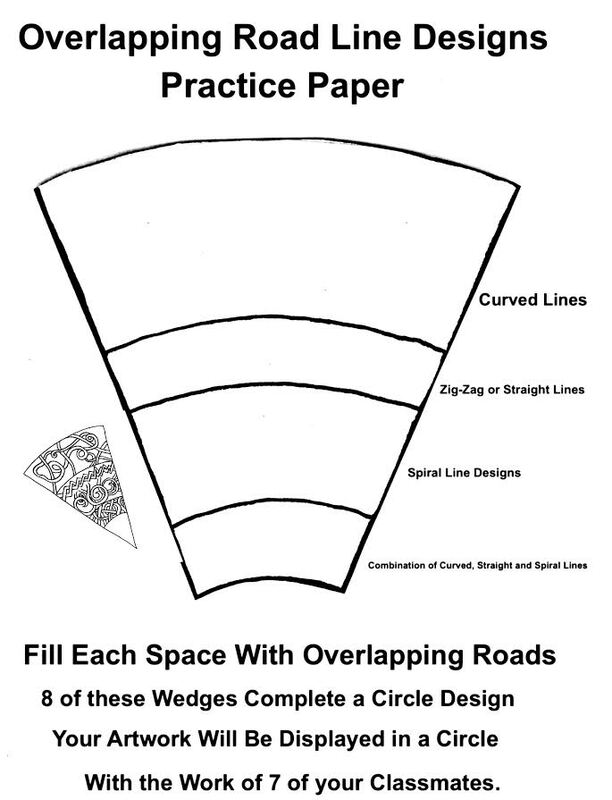 In the largest section at the top each student will create a design consisting of overlapping roads, using curved lines only. 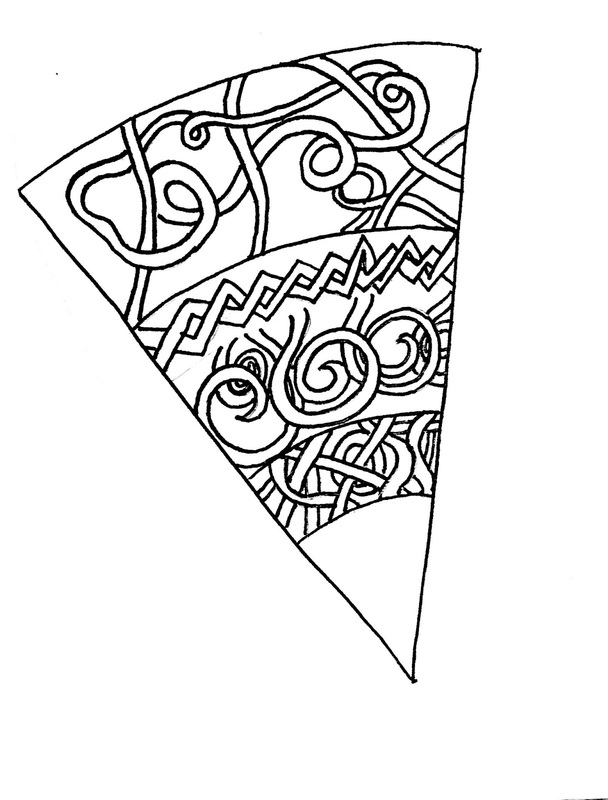 In the next section only zig-zagging or straight overlapping lines will be used. In the next section only overlapping spirals will be used. 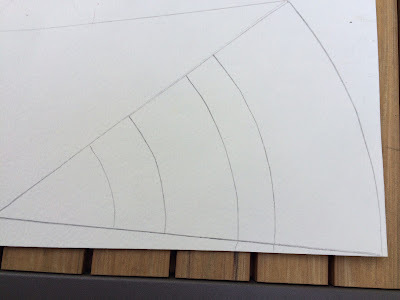 This will give students practice not only creating designs using different types of lines but also with overlapping to create the illusion of three dimensional space. 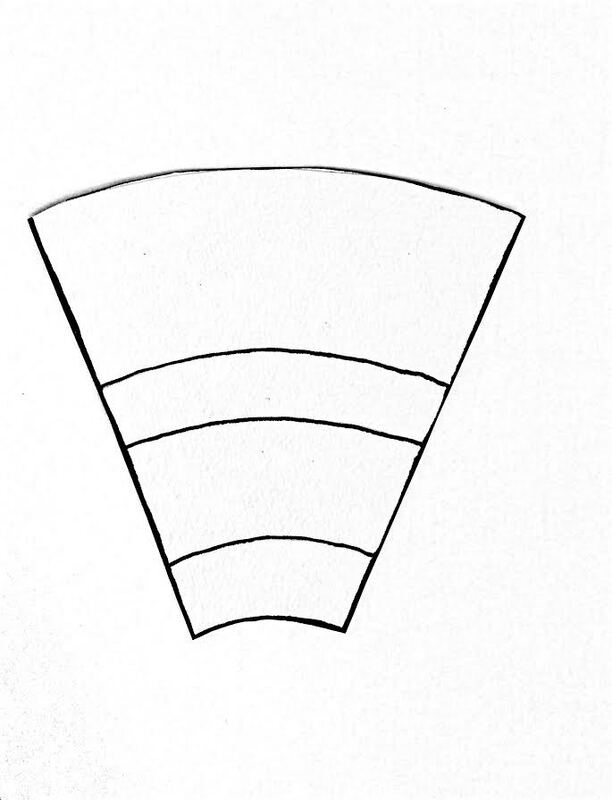 In the last space, nearest the point, students may combine all three types of lines. When you are done creating your designs, outline them using a Sharpie or other permanent marker. Do not use a water based marker. It will run when it gets wet and destroy your design. The Sharpie will also act as a barrier and help you to paint inside the lines. The painting part of this lesson is designed to teach students about color mixing, analogous color gradients and complementary colors. Complementary colors are colors that are opposites. If I take two primary colors and combine them, the primary color left over is the opposite of the colors that I mixed. For this lesson I decided to use magenta instead of red. So my primary colors were magenta, yellow and blue. If you mix magenta and yellow you get orange. The color left over is blue. Blue is the complement, or opposite of orange. 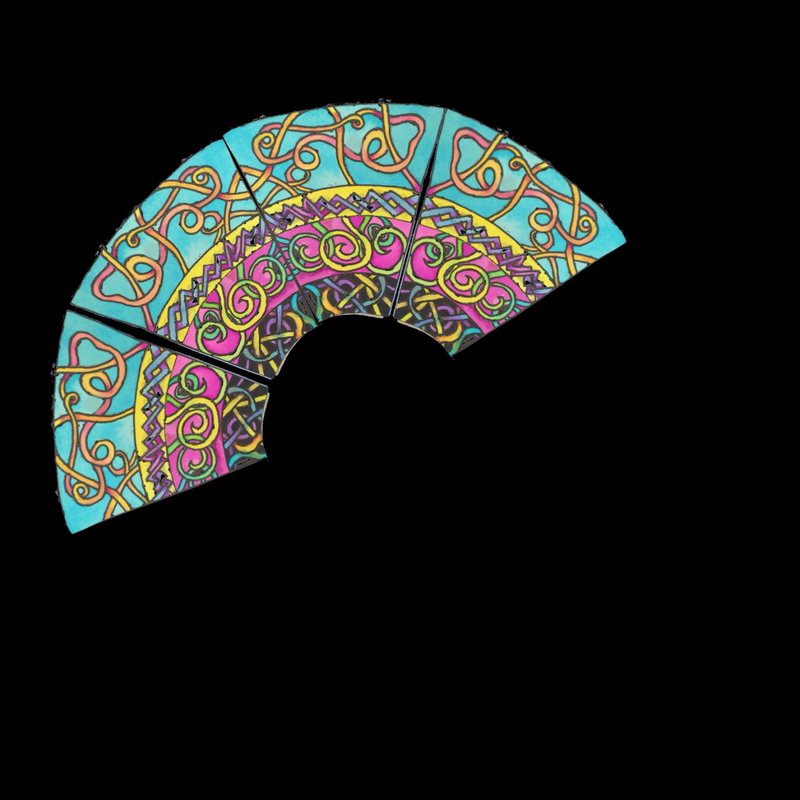 In the top section of your pie, create as many colors as you can using magenta and yellow. Paint all the roads using those colors and allow to dry. Then paint your background blue. In the second section mix magenta and blue to create as many colors as you can. You will create many different variations of purple. Use them to paint the roads and allow to dry. The primary color left over is yellow. Yellow is the complement, or opposite of purple. Use yellow to paint the background. In the next section you will use yellow and blue to create as many different greens as possible. The spirals will be colored with these greens and the background will be magenta. The background of the last section will be black. You can use a sharpie marker to fill in the background. Now is your chance to mix unusual colors to see how they look. Use up your left over paint to color your roads. Believe it or not, each design will be completely unique even though everyone in the class is following the same directions. Everyone will learn about how to use the same types of lines and how to mix the same types of colors and yet each pie wedge will be unique, a reflection of each artist's imagination. Once each watercolor painting is cut out we can begin to assemble them. Each group will be given an 18" x 18" square of black construction paper. 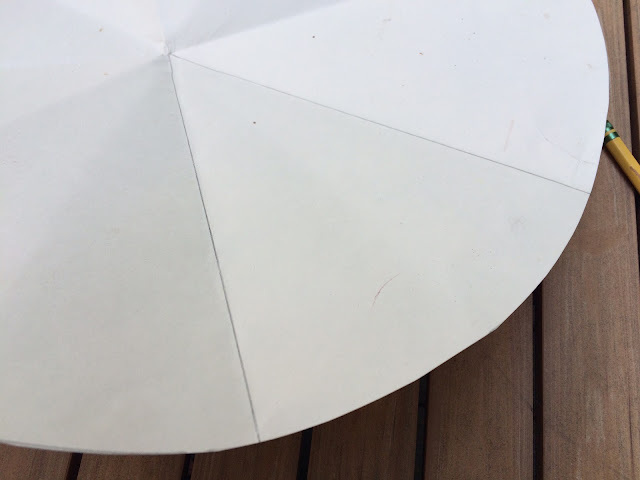 Fold the paper in half and then open it. Then fold it diagonally and open it. 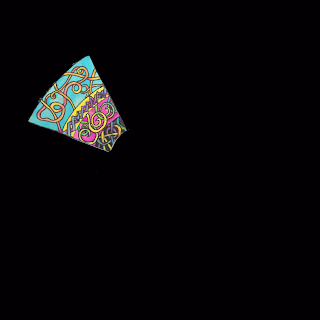 Finally fold it diagonally in the other direction. 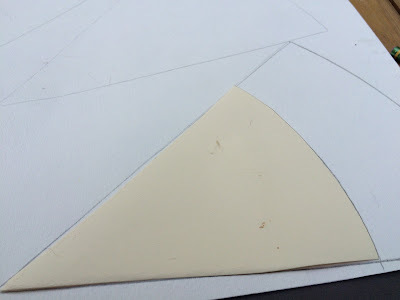 When you are done your black square should be divided into eight wedges and all the folds should cross in the middle. Get into co-operative groups and start to assemble your designs. 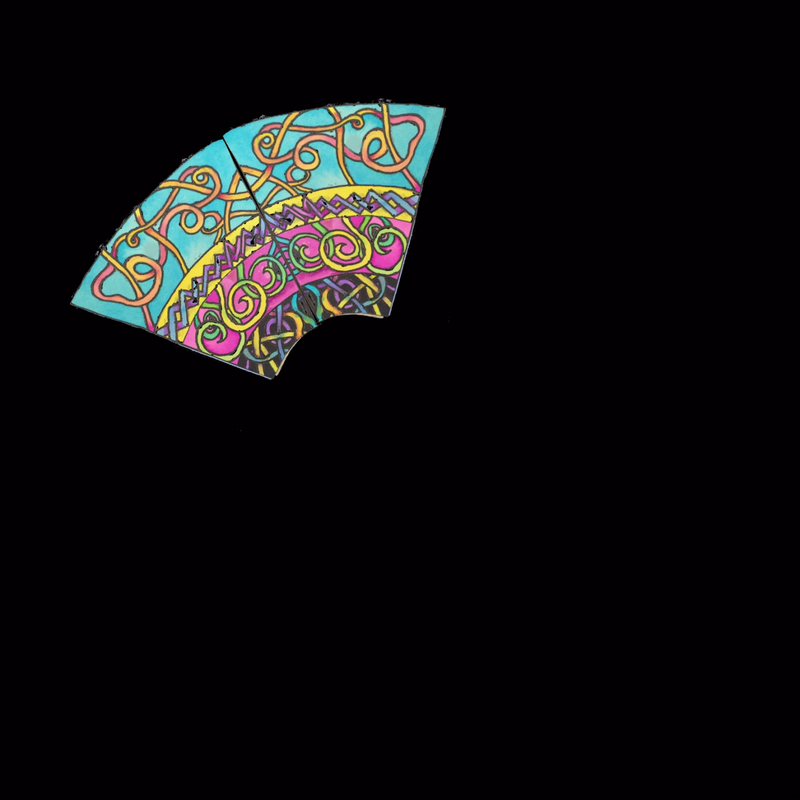 The design below was created by duplicating my original sample design eight times. 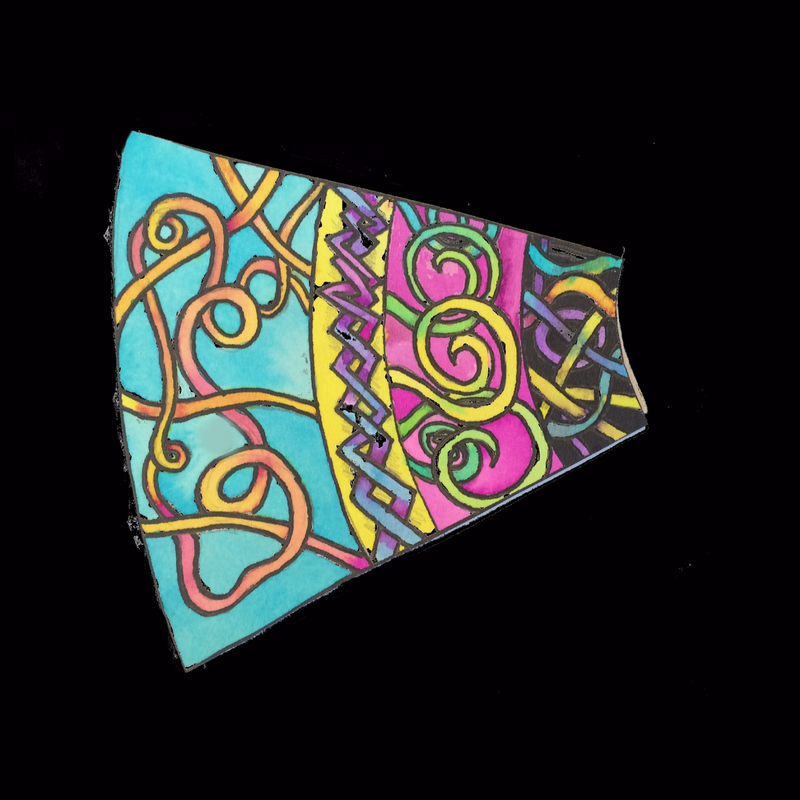 The designs your class creates will have more variety since each student's artwork is unique. 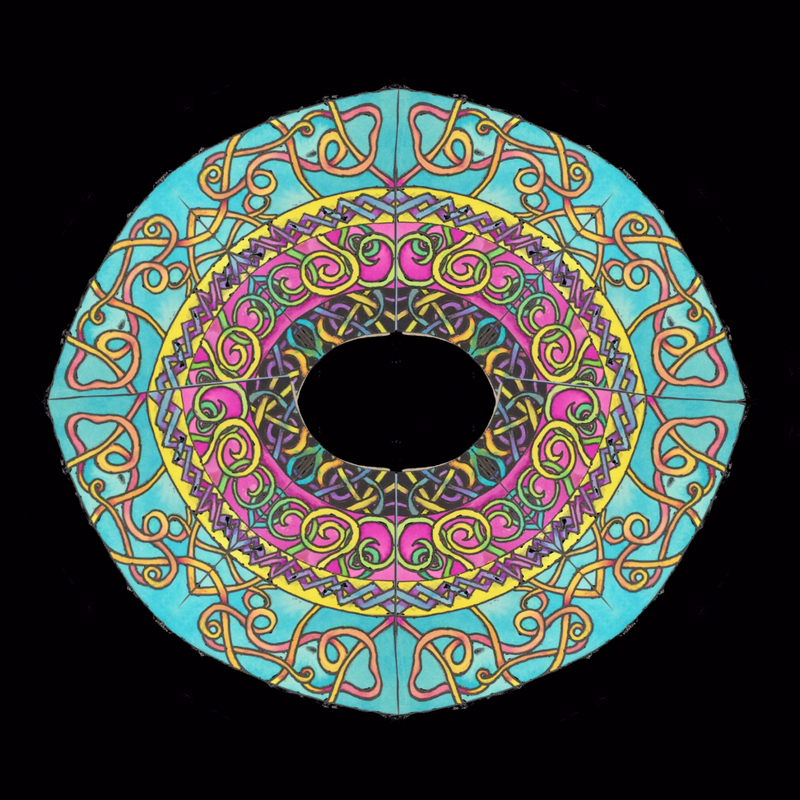 However, since everyone should have used the same color scheme and followed the same directions, the resulting radial composition will still appear unified. This lesson was inspired by the rangoli workshops by artist Gowri Savoo, particularly the 'mindful doodling' collaborative mural workshops. To learn more about this artist, click here. Many thanks to the art teacher and blogger Lian Brehm for sharing the work of this artist with me. To learn more about Lian Brehm, click here. For more of my art lessons on radial balance and rotational symmetry, infusing mathematics and art, please click here. 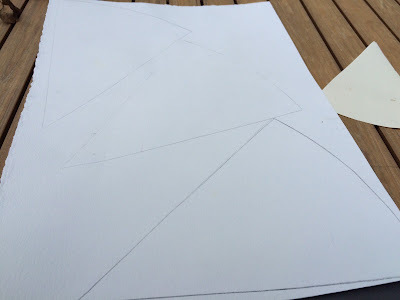 Please check back to this blog post in a few weeks to see my students' artwork. I can't wait to show them this new project and see what they create.